Action is the name of the game on this week’s Baha Soul, with thrilling chases, an intense arena battle, daring escapes, and high-altitude rescues. It all starts when Bacchus, Hamsa, and Nina start talking about how and why Bacchus left Heaven, mentioning the hippogriff. El waits for his chance. 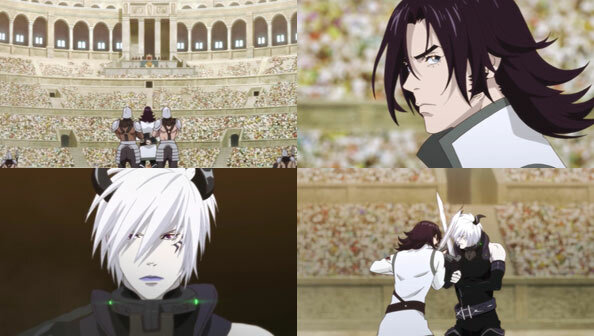 As Alessand continues to side with Charioce and Dias holds out hope for their old captain, Kaisar is stuffed in a cage and released in the middle of the arena, where he must fight Azazel to the death. Azzy may not be quite clear about why he’s still alive, but he’s not just going to lay down for the fallen knight, who manages to hold his own even though he’s missing a hand. Jaime Lannister, eat your heart out. 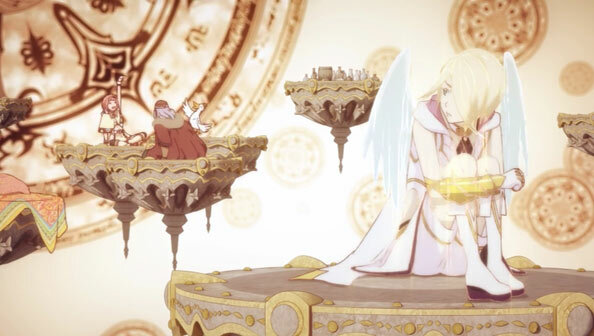 Once Bacchus, Hamsa and Nina realize El is missing (with Nina wearing El’s clothes, suggesting El went to the unusual trouble of dressing her after stealing her clothes) and formulate a plan to retrieve him, using lots of wordless hand (and wing) signals but getting the timing all wrong, causing a startled El to take wing and fly off. 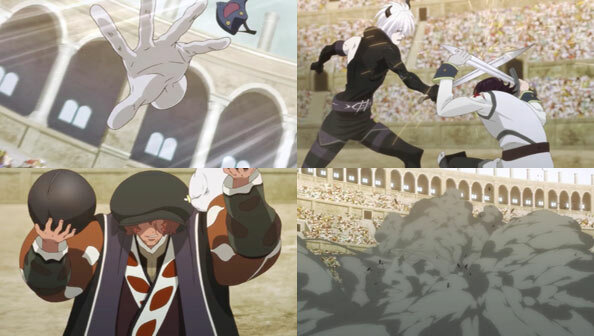 Just when Azazel is about to put Kaisar down, Favaro, in the stands all along in a very puffy disguise (and clean-shaven), throws him Rocky, and Kaisar quickly gets the upper hand and “runs Azazel through” (though his precise strike doesn’t really touch Azzy). As Favaro’s matador-like theme plays, he unleashes his crafty bounty hunter arsenal of crossbow bolts and smoke bombs, giving the three lads cover to escape, as Charioce reclines in his throne, seemingly unconcerned. The two of them are then saved by Bacchus and Hamsa, who called Hippogriff and skedaddled just when Heavenly guards surrounded them. 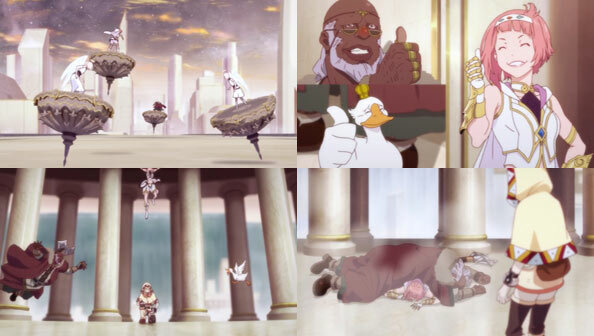 Back to Anatae they go, where El intends not to fight, but to bring peace. 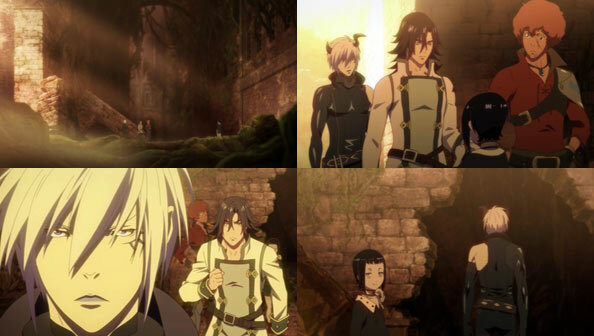 At a very picturesque meeting spot, Rita unites with Kaisar, Rocky, Favaro and Azazel. The latter tries to slink off, claiming “this is as far” as he goes; but Kaisar tells him if they all work together, they can save demons as well as humans and gods from Charioce’s havoc. I loved Rita’s smile when Azzy walks by her, Kaisar’s words having worked. And all it takes is a look to bring Favaro along for the ride. Not long ago all of the main cast was imprisoned in some way. Now, suddenly, they’re all free (for now) and in strong groups (again, for now). 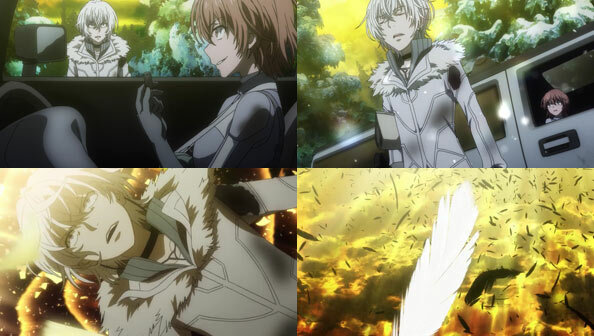 Will the two groups stay apart, or combine to create a force even Charioce will have trouble with? Will Nina’s continued Charioce conflict jeopardize the whole enterprise? Can El succeed without using force (which we know is limited in its scope an duration before he collapses)? We shall see. 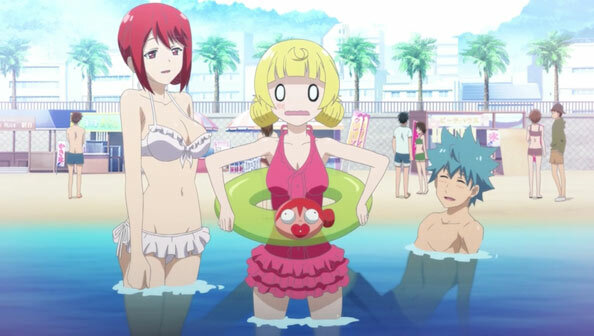 It’s a half-beach, half test-of-courage episode, with Akane trying to befriend Seiji’s sister Akua in the former and warning Guri to stay away from Seiji in the latter, all while Guri goofs off as usual in both and Yuzu always finds herself closer to Seiji than her beloved Akane. 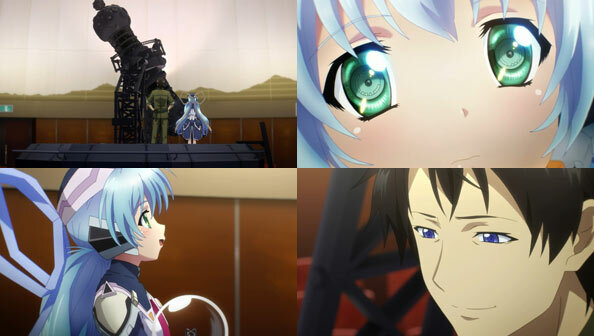 After he rejects her advances, Shikimi notifies Seiji what was hinted at last week; that Akane and Yuzu’s families serve as swords and shields, respectively, with her role as a branch family member being support of the other two. Meanwhile Akua remains cold to Akane until she’s attacked by the rabid demon penguin Stolas, then rescued largely thanks to Akane’s brute strength. She concedes that her brother likes strong women, so she’s at least a good match in that regard, if no other. The beach was little more than a fresh setting for the Akane’s violent lunacy, which is less instrumental in the second segment, in which a Ghostbuster-cosplaying Guri leads everyone on a test of courage through the school at the behest of a couple who wants her to make them a couple forever. The lunacy here lies in the fast-paced gauntlet of all the typical things you worry about running into at school after dark, from the spirits of dead students to self-playing pianos, moving stone busts, and the ever-present anatomical model. There’s no shortage of energy, at least for a few bursts. 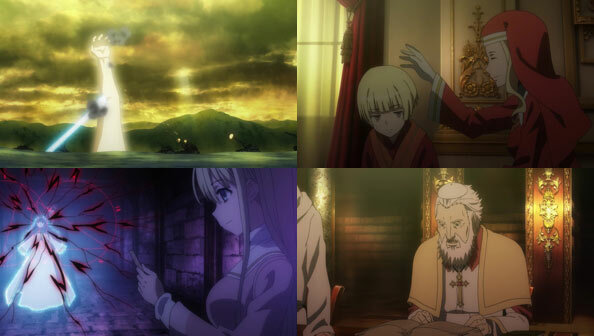 But both during and after the test, at the end of which it’s revealed the couple were dead to begin with and needed a little help passing on to the hereafter, Akane makes it clear to Guri that she’s only going to tolerate this lovey-dovey harem thing for so long, so if she wants to remain friends, she’d better stay away from Seiji. As if to underscore her seriousness, Akane doesn’t whip out her knives to threaten Guri. 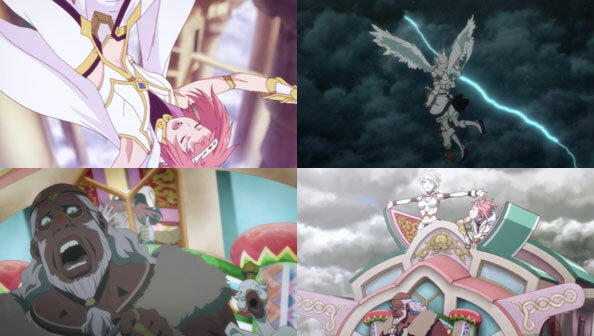 She also tells the very naive cupid that love, happy or sad, causes one’s heart to ache, and if that’s not happening with Guri, maybe she should reconsider being her rival. I knew things were eventually going to get more serious, but I’m still not convinced that’s the best move for a show that doesn’t have a lot going for it besides its rapid-fire comedy. As expected, the pink-haired sadist doesn’t get to torture Seiji for long, as Akane arrives to rescue him, We learn she’s Shiramine Shikimi, cousin to Akane and Yuzu, who loves receiving pain as much as she loves doling it out. She also likes stealing things, particularly from Akane, and Seiji is one such thing. 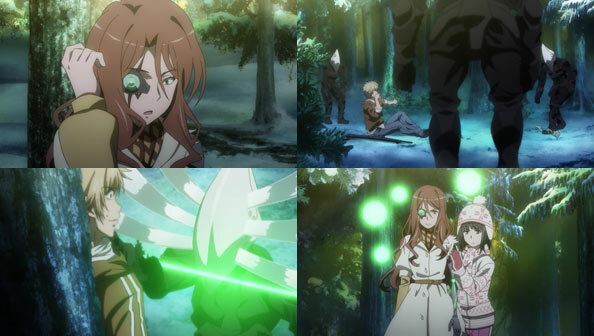 A fight ensues, and Shikimi is able to repel Akane’s attacks and restrain her, then scolding her for becoming weaker and being a sorry excuse for a “weapon princess”. She’s more impressed with Yuzu’s shield. This is all to imply that Akane and Yuzu have never been ordinary high school students, but some higher calling they’ve yet to share with Seiji. 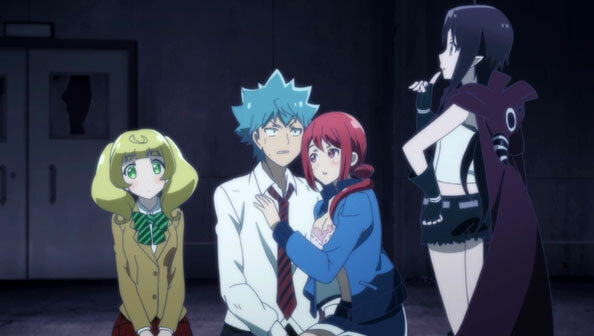 This is where Renai Boukun ditches the comedy altogether and gets a lot more serious, especially with the newly-arrived Guri telling Shikimi she can’t make her a part of the harem because there’s no real love inside of her. 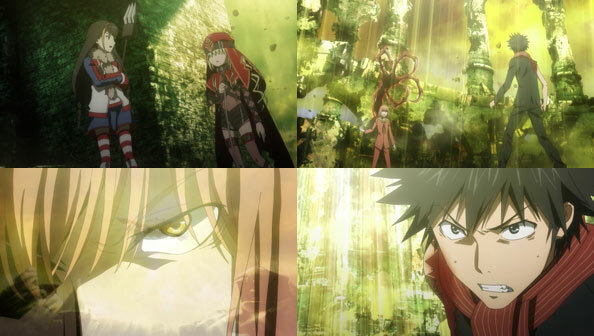 Your mileage may vary on whether this show needs to be this serious or dramatic; I’m not the biggest fan of it. In any case, all the excitement leaves Seiji knocked out, and he then dies. Not even a fifteen-minute kiss from Akane can bring him back, Sleeping Beauty-style. His death segues into the episode’s second segment, in which he meets Guri’s father Kami and his…er…neighbor Tiara? Coraly is also there. “Heaven” is little more than an ordinary Japanese living room. There, Kami (‘God’) tells him he’s killed him “for the time being” so he could meet the one his daughter has latched herself onto. He wants her to one day succeed him as Kami-sama, so he wants Seiji to teach her about love, something she’s not made much progress with despite being assigned cupid duty. Maou (‘the devil’) also stops by, wanting to convert Guri to demonhood, but as these are not humans, they don’t have a specific deadline in place for either thing to happen. Seiji can’t promise anything, because as Kami is well aware, Guri is a free spirit who will do what she wants when she wants to, which is rarely the same thing for long periods. 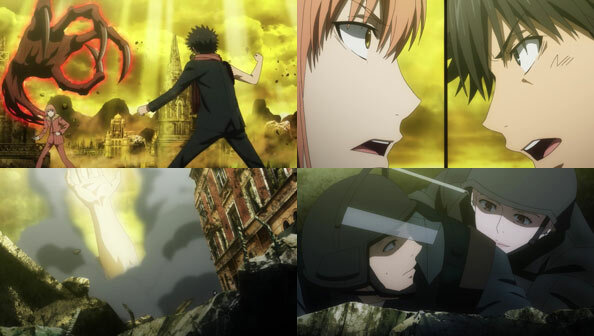 Seiji returns to the world of the living, where Akane is chasing Guri with her knives and Yuzu was about to kiss him as well, only for her and Seiji to knock heads. Seiji asks why Guri never let on about her father or the succession; Guri simply explains that stuff is boring and she doesn’t want to waste time talking about it. Fair enough! 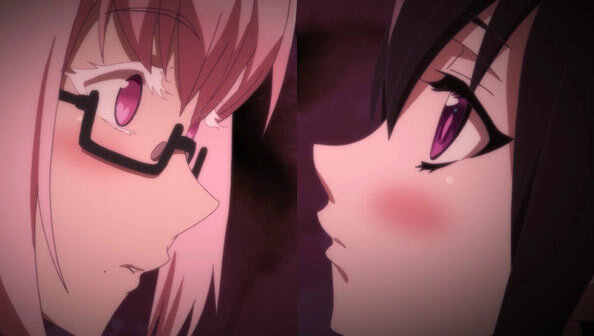 Last week ever-darker elements of violence and sexual deprivation were introduced; this week there’s a lot more character drama and a general plot course is set, with various parties vying for Guri’s future just as the girls vie for Seiji. 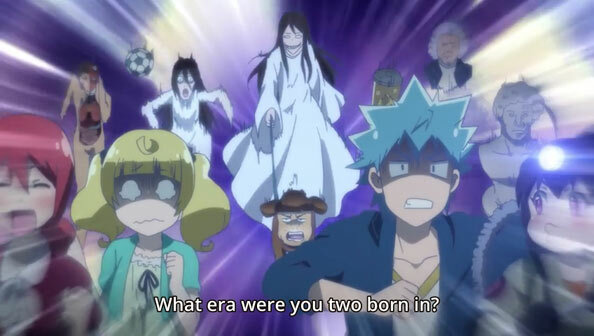 That’s all well and good, but it was also IMO the least funny, and least surprising, episode of Love Tyrant yet. I continue to enjoy how efficient, pure, and lean Planetarian is. There are moments of bigger things—a flashback to the devastating war that left the rest of the city ruined; Mr. Customer’s bad dreams—but is mostly just a guy fixing a planetarium projector while a robot hostess watches. And yet, discovering this haven, miraculously untouched by the war outside, and its simple, cheerful guardian, has suddenly provided Mr. Customer a break from the struggles of the outside world. In here, he’s a repairman, with the client marking the time often (she estimates 75 hours of operable time left before she has to return to hibernation due to limited power). Of course, Yumemi is also a pretty inquisitive robot, programmed to learn and become more than she was originally. And as Mr. Customer tinkers away, making slow progress, she keeps him entertained by bringing up her desire to dream, or shed tears. When she repeats her question about when the projector will be fixed, verbatim, Customer switches up the answer, asking her to pray—not just to any god, or his god, but to the robot god. Her databases dig up a recorded discussion by the people she worked with about a robot heaven free of all the troubles robots experience. Even as Mr. Customer successfully completes repairs on the projector, Yumemi has less than 60 hours left, which means he has just that much more time with her before he has to return to the “real” world, leaving this oasis of hope and dreams behind. Yumemi’s limited time weighs over the episode. And she still doesn’t quite grasp that the world has changed dramatically in 8,000 hours. 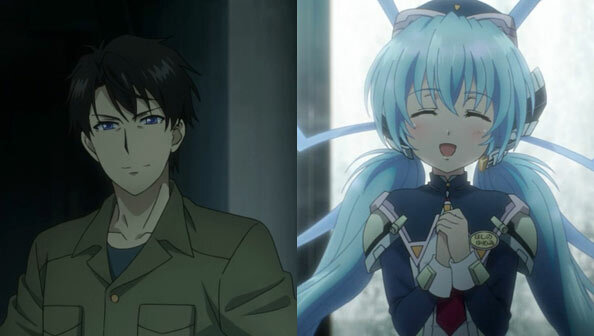 Planetarian is only five total episodes, and we’re through two. What kind of ending (if it is a definite ending) is in store for us: is Yumemi doomed to be limited to the confines of her relatively primitive hardware of which she is composed? Will she be forced to shut down in the next few days? Will Mr. Customer let it happen and move on, or try to change her fate, heartened, in spite of himself, by her boundless positivism? Sunday Without God continues to impress with its flair for quickly and efficiently building its world and mythos without losing the sense of awe and grandeur. With one last glance at the valley that was her entire world, she, Yuri and Scar set off in rundown old Volkswagen Kombi, and the scale of the world expands exponentially, along with the possibilities. Kiriko, the young mugging victim they find in the back seat, serves as their key to the first landmark on their journey, and awe-wise, it’s quite a doozy. Ortus, population 1 million-plus, is one of those vast, gorgeous old city-states we love to see in fantasy works. The episode perfectly captures the wonder and excitement in the lush way the city is lit the first time Ai sees it. Ai is a particularly easy heroine to like and connect with, since like us she’s seeing everything for the first time, and soaking it up like a sponge. Regarding her youthful enthusiasm about her mission to Save The World That God Abandoned as recited to Kiriko, we appreciate nods to the fact Ai is still twelve after all (her ‘out of the mouth of babes’ moment to Pox/Rex was also adorably (adorbs?) meta). But Ortus doesn’t just represent a new paradigm for what constitutes the world, but also fundamentally calls into question Ai’s defining ideals, when it’s explained to her Ortus is a city-state of, by, and for the dead, and the dead alone. Commenter Cytrus told us Ai wasn’t in store for more Foes-of-the-Week like he gang that killed her father, but rather “systems, truths and ideals,” something we’re decidedly jazzed about; that’s far more interesting than glorified zombie-hunting. Ortus is one of those systems; an ordinary city full of ordinary people living ordinary lives, only they’re all technically dead; a place where the very idea of a gravedigger is anathema; and yet a place that Ai cannot deny has just as much as right to exist as she does. What’s sad for Ai is that the living and dead aren’t co-existing; the living who trade with Ortus are segregated. 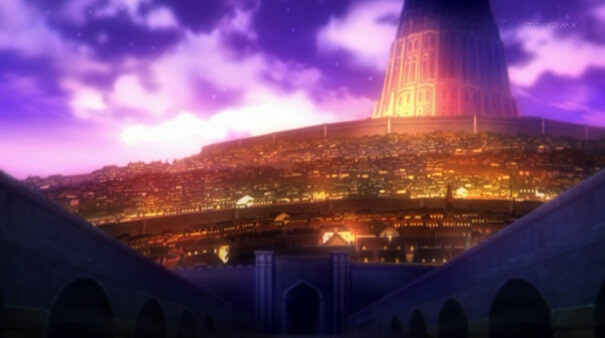 Without the aid of the Kindly Kiriko and Pox/Rex, Ai wouldn’t have even been able to enter the city. When she sneaks out she has to wear a mask, and even then, a random passerby grabs her playbill and curtly tells her to leave. Thus “Saving the World” may not mean giving all of the dead a burial, but finding a way to bring people together. This series’ ability to really tug at the heartstrings without coming off as schmaltzy, while simultaneously infusing so much life and emotion into every single one of its characters, never ceases to amaze me. This show has almost rendered RABUJOI’s 4-ranking irrelevant – just about every episode has been excellent and a cut above most of the rest of this spring season, now winding to a close. This was one of the best yet, when all the build-up around Menma’s “firework send-off” comes to a super-dramatic head. Not one minute is wasted. Poppo, planner-in-chief, plans a farewell party. Yukiatsu isn’t planning on going at first, preferring to wait for the rocket launch itself. But after meeting Anaru, he comes up with a plan, one that is both devious and necessary for catharsis. He convinces Anaru to re-enact that day years ago, when she asked Jintan if he loved Menma. This time, he tells the truth: he does. I thought for a moment Menma was going to disappear right there – but she just cries, and later tells him she loves him too, and probably would have ended up marrying him if she was still alive. This kills Jintan, because this is also what he wanted. He’s so desperate to keep her around, he even asks if its okay if she just stays. But she wants to go to heaven; his mom taught her about reincarnation, which is her only hope of her being able to talk to everyone else. Jintan wants her to himself; but considers that maybe he alone isn’t enough for Menma. It isn’t fair to her. 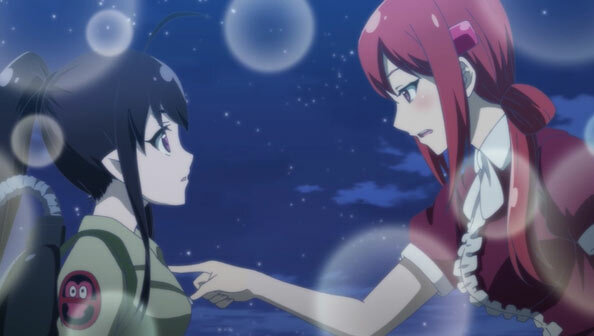 Saying he loves her out loud sends Anaru into a crying fit, at which point Tsuruko tells her she too has her unrequited love, (Yukiatsu), but her situation is worse: If Menma goes, Jintan may warm to Anaru, but Tsuruko never thinks Yukiatsu will come around to her.